Geriatric Assessment- What is a Functional Assessment? 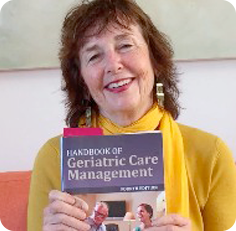 When doing a geriatric assessment , the first part is a psychosocial assessment and the second part is a functional assessment .A functional assessment should be done by a professional such as a certified geriatric care manager (GCM). Functional ability is assessed through the measurement of the basic skills of role function. It tests the client’s ability to function in their home. The results assist the professional in helping the client function better in their environment. This includes measurement of the performance of basic activities of daily living (ADLs), such as bathing, grooming, dressing, eating, transferring, toileting, and more advanced instrumental activities of daily living (IADLs), including handling financial matters appropriately, finding one’s way out of the home and back, and managing medication regimens. Evaluation of the older person’s functional abilities is a critical component of the geriatric assessment. A review of medical symptoms and diagnoses does not by itself predict an individual’s functional impairments. These impairments may be the determining factor in decisions about the living situation that person will require. Together, the medical diagnosis and a description and appraisal of the client’s function provide the most accurate assessment. Impairments in ADLs have been identified as risk factors for falls, injuries, and institutionalization.